Who has not dreamed of having his personal yacht, a cook to simmer him small dishes, a captain and his crew at his service to sail on seas of dream colors? This is what you will experience aboard our schooners built according to the tradition perpetuated by the sponge fishermen in the shipyards of Bodrum de Bozburun and Marmaris. It is the journalist Cevat Sakir, a poet exiled in Bodrum at the beginning of the republic, who discovers in the 1930s the life of the sponge fishermen of this Turkish-Greek village. He discovers with them a sea of ​​all colors of blue, sunsets of unique suns, heavenly creeks, or fish in the moonlight splashing under the reflections like pearls of silver … the talent of the poet and the verve of the local , Go, raki helping cause a literary explosion! Cevat Cakir tells all this in “Le Voyage Bleu”, a novel published in the early sixties, which will quickly arouse the interest of the Turkish intellectuals who will come from the big cities of the country to make in their turn aboard these primitive boats And traditional, this journey of initiation. These caiques, which are also called gulets or schooners, have evolved over time. Today we have gone to magnificent wooden buildings with two or three masts which can have as many as twenty cabins. Your boat from four to eight cabins is friendly and comfortable. You will be greeted by a crew care, who will have only one idea in mind: Give you happiness for you to come back next year! Le Voyage Bleu is an encounter with nature, the calm of an isolated cove, the impromptu party in a typical village. It is the opportunity to swim in warm, transparent waters, dive to discover the secret of the seabed, slip on a windsurfing board or simply sunbathe or fish. The golf of Gökova, from Bodrum is a great classic and of great beauty. 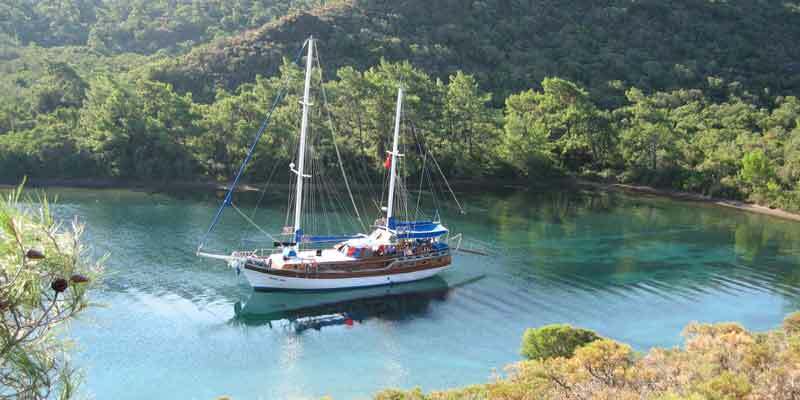 You sail from creek to creek on a calm sea to the discovery of small bays and traditional and authentic villages. The Hisarönü golf course is another route between Bodrum and Marmaris. Villages that welcome you as guests, breathtaking coves; You will go from Selemiye to Bencik, from Aktur to Inceburun via Palamutbuku, a few miles from the Greek islands of Rhodes and Simi. The Greek islands of the Dodecanese are also part of the cruises that can not be ignored. North Dodecanese from Bodrum to discover the islands of Kos, Kalymnos, Patmos and the Apocalypse Cave, Leros and Lipsi. 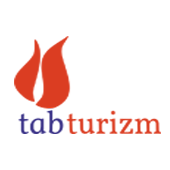 TAB TURIZM – TURKEY PASSION specialist of the blue travel since 1986 for the biggest tour operators has the first park of caiques for your cruises departing from Bodrum, Marmaris, Gocek, Antalya.